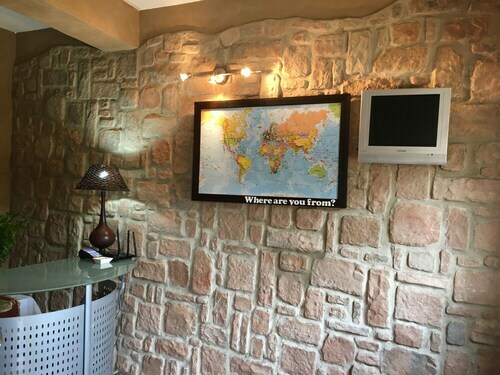 It's always good to know a bit about your destination before you rush off on your travels. 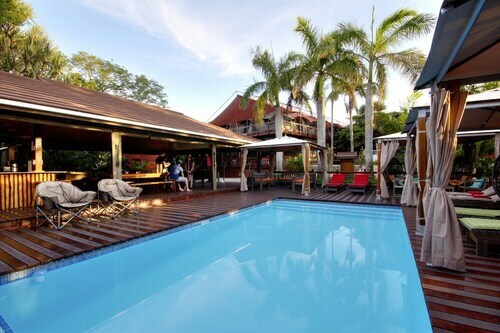 Circle Mtubatuba on a map now and get ready to pack your bags for your next amazing adventure! This town is located 310 miles (499 kilometers) southeast of Pretoria, the national capital. Richards Bay is a close-by notable area located 25 miles (40 kilometers) to the southwest. There are endless reasons to plan your Mtubatuba trip via Travelocity! You'll pay a far lower price when you secure a package deal, and with at least 400 airline partners and 665,000 places to stay, you have all the freedom. From accommodations and flights to car rentals and activities, we provide 24/7 personal assistance with our Customer 1st Guarantee. If you encounter an even cheaper price on another site, we'll refund you the difference^. You just never know when an emergency will present itself. However, when you purchase a package, we guarantee no cancellation fees from us. And so long as you get in quick, many accommodations won't charge a fee either^. The Protea Hotel by Marriott Umfolozi River is the only property within close reach of Mtubatuba, so we recommend booking your room well before your vacation. Where do you fly into for Mtubatuba? Get ready for some amazing new experiences! The center of Mtubatuba is approximately 20 miles (32 kilometers) north of Richards Bay Airport (RCB). Can I rent a car in Mtubatuba? Wander the streets in Mtubatuba and experience its unique culture. If you intend to head a little way out, grabbing a rental car via Travelocity is a great choice. If you're arriving via Richards Bay Airport, you can pretty well rent a vehicle on the tarmac. You'll discover Europcar only a brief walk away. Hertz is another top option. You can flip through your guidebooks over and over again. But if we're talking about seeking out attractions, not much else is like hitting the ground with a lust for adventure. 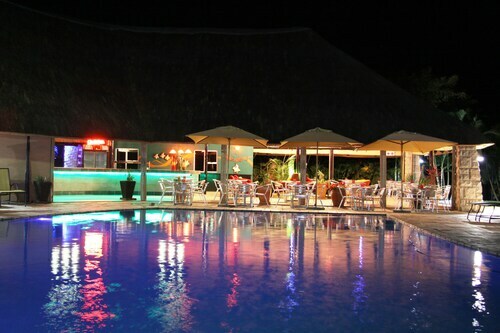 Trust us, you'll never have a dull moment in Mtubatuba! If you've got a spare day or two and don't mind traveling 25 miles (40 kilometers), visit Richards Bay. This nearby area is teeming with things to see and do. Start uncovering its character at Enseleni Nature Reserve. If you're eager to discover more, head to Richards Bay Park and Alkandstrand Beach too. Searching for more options? Ulundi is 50 miles (80 kilometers) from Mtubatuba. Make your way to this destination for attractions including Ondini Historical Reserve, the Battle of Ulundi Memorial and the KwaZulu Cultural Museum. You've got all the choice in the world! Situated in a rural location, this lodge is 20.9 mi (33.6 km) from St Lucia Crocodile Centre and 29.1 mi (46.8 km) from Emdoneni Cat Rehabilitation Centre. 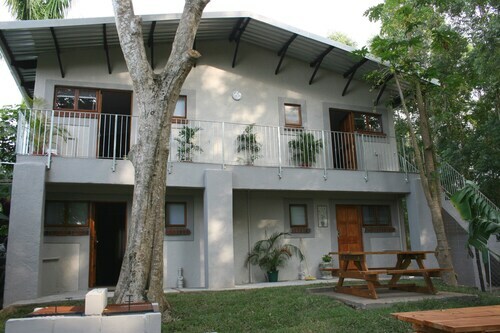 Situated in St. Lucia, this apartment building is 1.6 mi (2.5 km) from St Lucia Crocodile Centre and 2.5 mi (4 km) from iSimangaliso Wetland Park. St. Lucia Estuary Beach is 1.8 mi (2.9 km) away. Situated in Mfolozi, this hotel is 14.5 mi (23.3 km) from Monzi Golf Club and within 25 mi (40 km) of Hluhluwe–Imfolozi Park and Enseleni Nature Reserve. Boardwalk Mall and St Lucia Crocodile Centre are also within 25 mi (40 km). 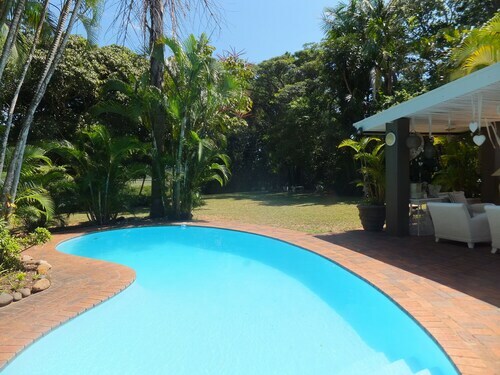 Offering direct access to the beach, this St. Lucia lodge is 1.1 mi (1.8 km) from St. Lucia Estuary Beach and 2.6 mi (4.3 km) from iSimangaliso Wetland Park. St Lucia Crocodile Centre is 1.9 mi (3.1 km) away. 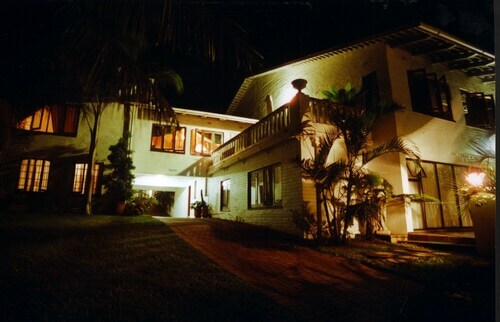 Situated by the ocean, this bed & breakfast is 1.2 mi (1.9 km) from St. Lucia Estuary Beach and 1.6 mi (2.6 km) from iSimangaliso Wetland Park. St Lucia Crocodile Centre is 1.6 mi (2.6 km) away. Situated in St. Lucia, this hostel is 1.5 mi (2.4 km) from St Lucia Crocodile Centre and 2.2 mi (3.6 km) from iSimangaliso Wetland Park. St. Lucia Estuary Beach is 1.8 mi (3 km) away. 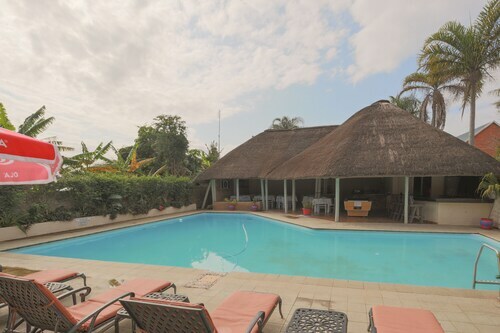 Situated near the beach, this bed & breakfast is 1.6 mi (2.6 km) from St Lucia Crocodile Centre and 2.4 mi (3.8 km) from iSimangaliso Wetland Park. St. Lucia Estuary Beach is 1.7 mi (2.7 km) away. 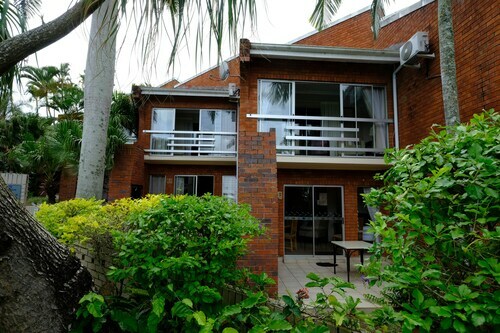 Situated by the ocean, this apartment building is 1.2 mi (1.9 km) from St. Lucia Estuary Beach and 2.2 mi (3.5 km) from iSimangaliso Wetland Park. St Lucia Crocodile Centre is 2.1 mi (3.4 km) away.